If you can’t come to us, don’t worry, we can come to you. On several occasions we find ourselves dragging large golf bags filled with clubs and training aids to offices through downtown Washington DC. We can do everything from your basic golf clinic to video analysis complete with hitting nets. Have you ever wanted to play in your companies golf outing or been invited to play in a charity event? This program will give the student the basic full swings fundamentals, outing/event etiquette and all the information you will need to feel comfortable to enter and have fun in one of these events. We will teach you basic full-swing fundamentals for the irons, woods and putting. We will also take you through all the elements of a typical outing/event. Will conclude the sessions by taking you to play on the golf course to experience a Scramble/Best Ball Format that most of these events use so you can feel comfortable being out on the course. Stop missing out on all of the fun and get involved! Fill out the form below for more information or to book your clinic today. 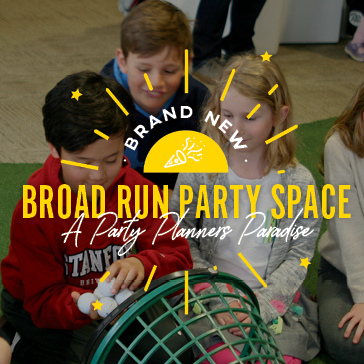 Looking for a unique, fun and memorable experience for your next function? From Birthday parties, team building exercises, to clinics for sharpening your skills before you tee off, full swing and short game clinics with fun competitions, The Learning Center at Broad Run Golf Course offers multiple customizable corporate and private group options that are sure to fit your group size and budget. We would be happy to work with you to create a custom event with your golf, birthday party, graduation, sports team event, business goals, and budget in mind. “Golf for Business” clinic — Get Ready for your Company Golf Outing! 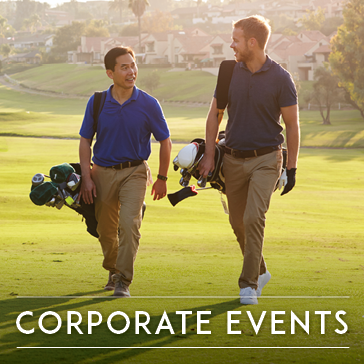 We tailor events to all different types of clientele including large and small companies, charitable organizations, associations, clubs, sports teams, churches, and schools for a variety of functions such as corporate client entertainment, employee team building functions, parties, and other special events. Learn more about our event space here. Contact any member of our professional staff to arrange your next golf experience!